Having planned to take up a few new crafts in 2018, when I saw The Complete Photo Guide to Soap Making on NetGalley, I thought it would be an interesting read. What I loved about this book was the perfect blend of instructions and imagery. It offered step-by-step guides as well as general information on different aspects of soap making, including safety when using the various chemicals involved. This is the perfect read for anyone thinking of beginning soap making, and probably has some useful tips for those already creating. 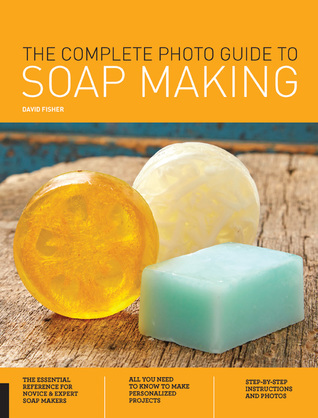 Not sure yet if soap making will be the hobby for me, but if I do go ahead with it, I will definitely purchase a copy of this book to keep beside me.